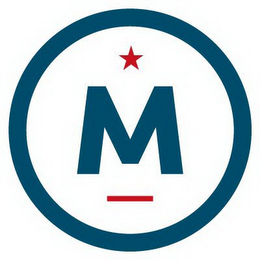 Just two days after announcing his independent bid for the White House, Evan McMullin's attorneys filed a federal trademark application for his campaign's logo (see below). The campaign filed the application in Class 035 for "[p]olitical campaign services, namely, promoting public awareness of Evan McMullin as a candidate for public office; providing online information regarding political issues and the 2016 presidential election." The first use date for the mark is August 8, 2016 (the day Mr. McMullin announced his bid). According to reports, Evan McMullin is a former CIA agent who thinks Donald Trump is going to lose the election. He is running as an independent candidate. Given that most trademark applications take about 3 months before they are assigned to an examining attorney at the U.S. Patent and Trademark Office, and that it takes approximately 9-12 months for a trademark to register if all goes well, I doubt this mark will ever make it to registration (and will likely be abandoned by the campaign on a later date).